What I Did on My Summer Vacation - Five AR Use Cases for the Traveler - Ariella Lehrer, Ph.D. 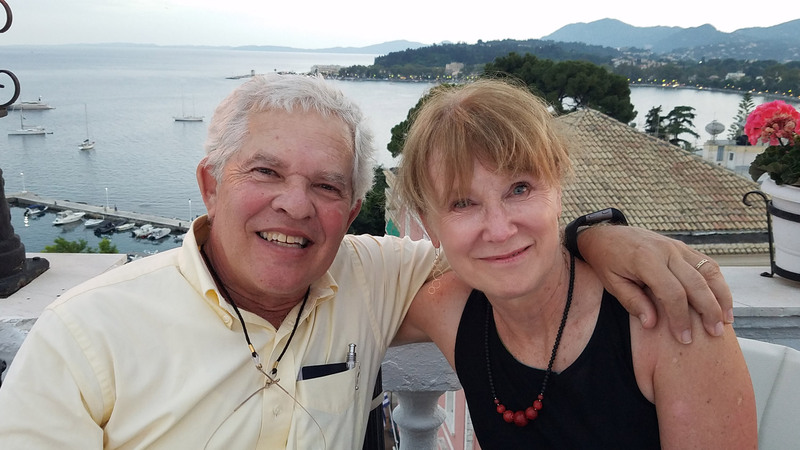 I just returned from a dreamy Mediterranean vacation, full of ancient Greek ruins, delicious food, and beautiful scenery. But as a newbie to archeology, appreciating 2500-year-old temples that look like rubble can be daunting. We used all the classic approaches of tourists – professional guides, self-guided audio tours, and read as much in-situ information as we could find. 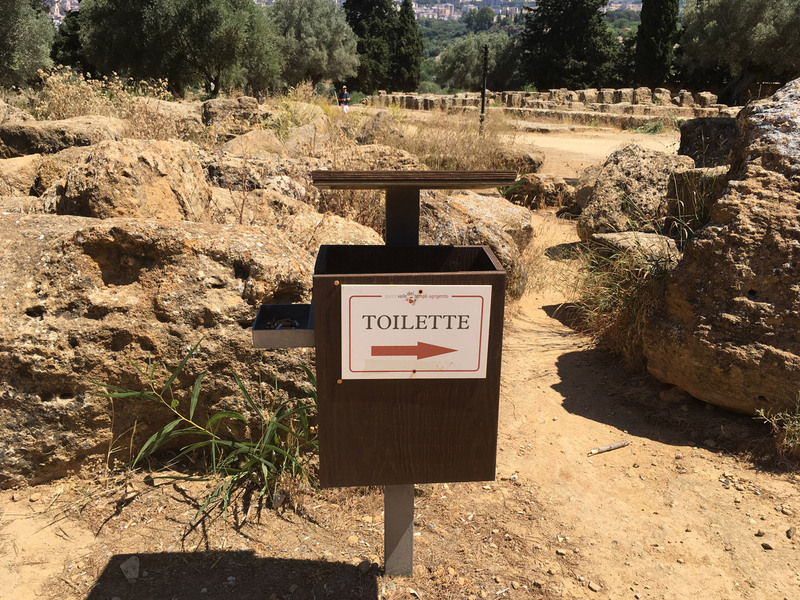 But by the time we reached the Valley of the Temples in Agrigento, Western Sicily, my sun-drenched brain realized that there had to be a better way to help visitors understand and appreciate the wonders of ancient Greece. 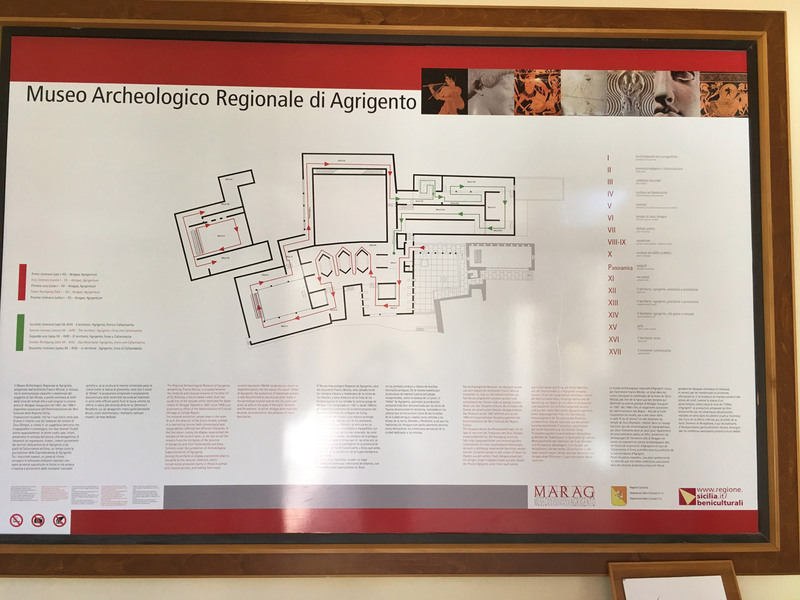 Augmented Reality, either mobile or wearable, offers a great way to educate tourists about ancient ruins and artifacts around the Mediterranean. 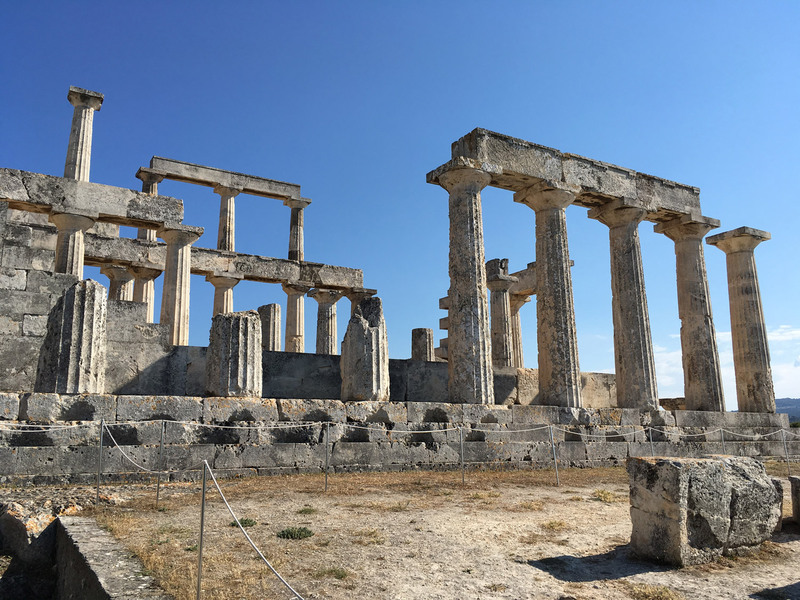 Here are five ideas of how AR could help future vacationers playing Indiana Jones in Greece and Sicily. What visitor is going to read detailed informational signs like these? There is way too much text, and none of it personalized to my interests. While it’s nice that it is translated to English, what about all the other visitors from around the world? Alternatively, with AR, I could direct my own experience, by choosing where to focus my eyes or point my mobile device. I could choose to look at the top pediment of the temple, now sadly missing the “marbles” stolen by some random British sailor, and see how it used to look in all its glory. It’s an even worse problem when there is no signage at all. Most of the time, I was clueless about what I was looking at. 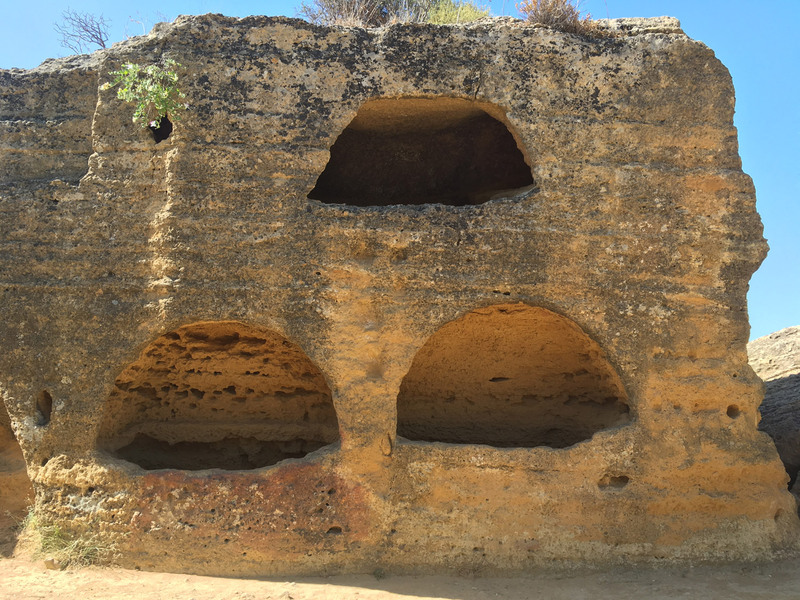 The Greeks built a wall that stretched for 15 km to defend Agrigento from the Carthaginians. (BTW, Mr. President, it didn’t work.) But I couldn’t understand why the wall had so many holes carved into it. With my AR device, I could have pointed at one of the holes to find out that the wall did double duty as a gravesite. 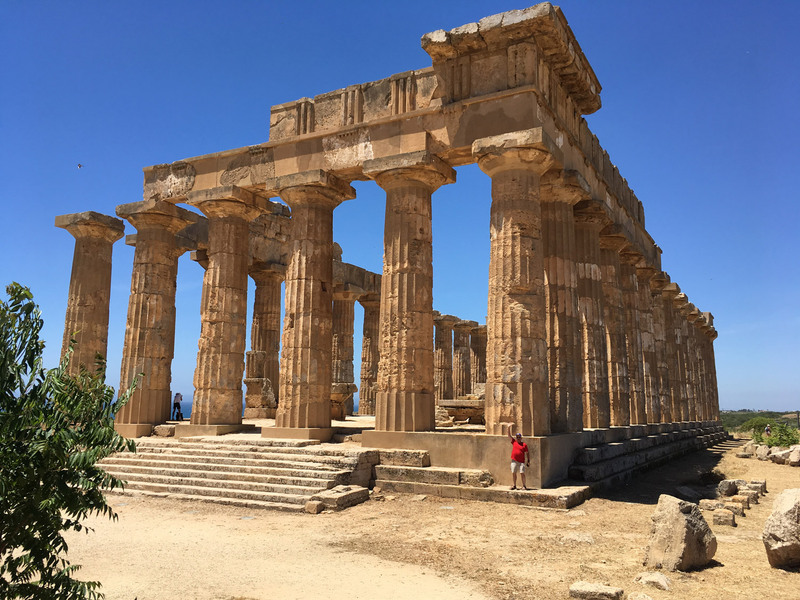 Since I am not an art history scholar and have never been to Greece or Sicily before, I lack much of the background that makes an experience like this truly meaningful. I wanted to see what the ruins looked like when first built, without the missing columns and roof, and to scale. Did you know that ancient Greek buildings were beautifully painted and often decorated with precious metals and jewels? Many of the temples were erected in thriving cities of 100,000 people or more. An AR app could show the buildings in their full glory and geographic context. 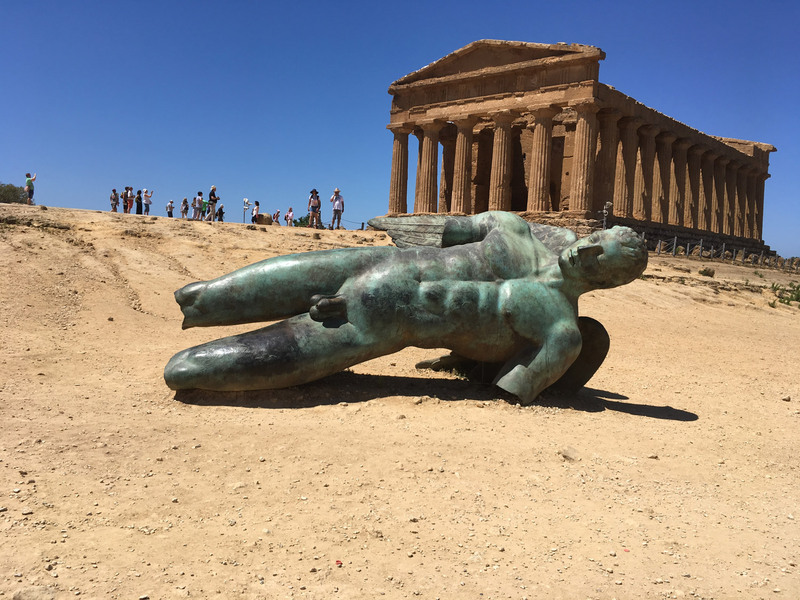 The ancient temples at Agrigento were spread out over a very long and hot three miles. Good luck with trying to find a bathroom or somewhere to buy water. We didn’t have a map with us because they ran out of English versions. AR mapping would have solved our navigation problems neatly. It’s almost impossible to make a tour of Greek ruins and marble statues of gods interesting to kids. The addition of AR, however, allows for simple games that engage them in a meaningful and memorable way. 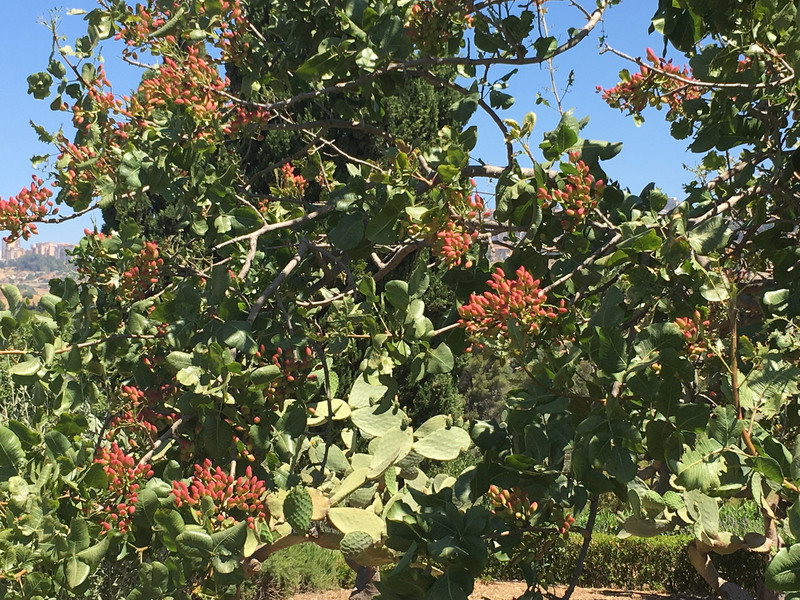 For example, there was a wonderful garden at Agrigento that hosted many native, but unlabeled, fruit trees. How fun it would be to create a treasure hunt style game, where kids are rewarded for looking up into the correct tree branches with their AR camera and finding ripe fruit, regardless of the season. Do you know what fruit is pictured below? Pistachios! One of the primary goals of art appreciation is to encourage the viewer to look more closely, and examine the art for patterns and similarities to other objects. Sicily hosts some of the finest Roman mosaics and frescoes in the world, but often there are large sections missing from a pictorial scene or abstract pattern. Why not show a section of the tile, and then ask the student to figure out where to insert it? 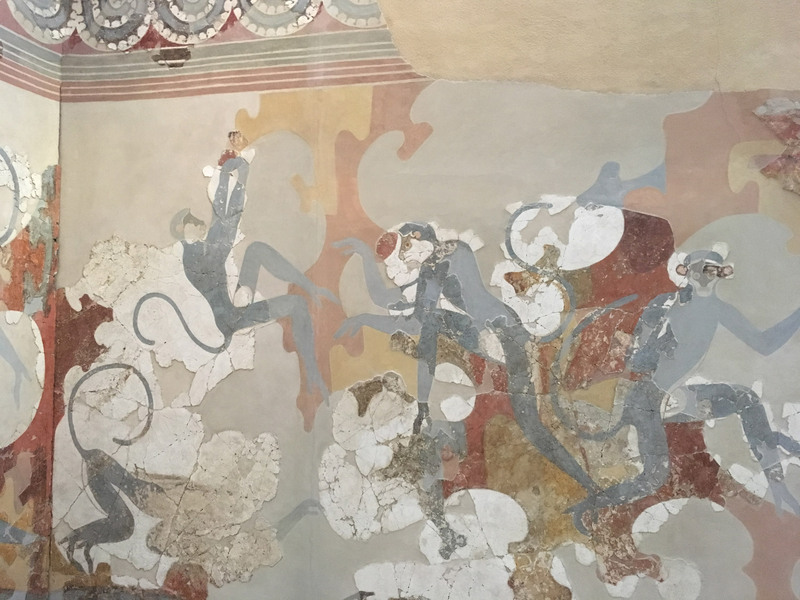 Like a jigsaw puzzle, when all the pieces have been correctly placed using their AR camera or glasses, the famous blue monkey fresco, painted more than 3000 years ago, appears in all its original glory. Not to pick on Greece and Sicily, because many of these same ideas can be applied to other tourist sites and museum exhibitions. Plus, think how useful an AR content management system (CMS) that is GPS aware would be to museum personnel. Experts could add and update the information themselves, controlling what text, VO, and images appear when the user points to or focuses at a particular location with their AR device. Providing in-context and personalized information, that directly relates to where we are in physical space, is a potentially very powerful tool. This entry was posted in Ariella's Blog Posts on June 16, 2017 by Ario.